Transportation services-Shandong zunhuang brewing equipment Co., Ltd.
No matter flat pack to save shipping cost,or fill with your merchandise into allassembled displays to ship together,all is up to you. And we have our own department to arange the shipments.we ship worldwide dierctly by see,railway or express.we will provide all documents you need to import. We packed the goods to meet the transport distance, shock, rust and anti-handling requirements damaged before shipping, to ensure the safe transport of goods to reach the buyer designated location before it is shipped. 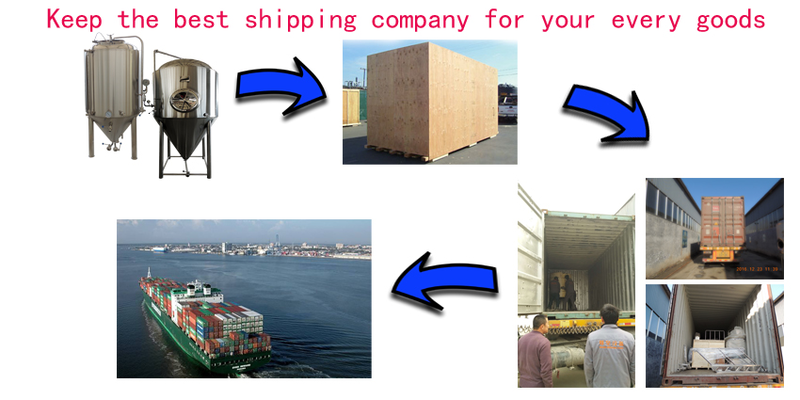 From our workshop to your brewery, we will choose the best and suitable your port shipping company to delivery your place timely. Meantime, as the customer first principle, we will send the clear and effective loading pics for your reference, let you check on live.